Below is a list of resources that will help you share the good news of God’s grace. Whether you’re a preacher, Sunday School teacher, discussion leader, parent, or simply someone with a desire to help others, these resources will equip you to do two things with the gospel of grace: (i) tell people what it is, and (ii) tell people what it isn’t. Article: Who are the hyper-grace preachers? Article: What is the gospel in one word, two words? Article: By which gospel are you saved? Article: What is the good news? What ISN’T the gospel of grace? Article: How do we pervert the gospel of grace? Are you looking for something more substantial? Then check out Part B of The Hyper-Grace Gospel which covers 12 myths and misperceptions some have about the gospel of grace. Where can I find good visual aids? Very carefully! As far as possible, live at peace with everyone (Rom. 12:18). What if I’m asked a tough question? Preach grace and you will encounter questions – some innocent, and some not so innocent. You won’t know all the answers, but don’t panic! Let the Holy Spirit be your teacher. I have found that when we are wearing the right lenses, namely, the finished work of the cross, the Word of God comes into sharp focus. Scriptures that used to puzzle you or that you thought needed “balancing” with contrary scriptures, become crystal clear. I strongly encourage you to take all your questions to the Lord and his Word. However, if you are looking for a resource that addresses common grace questions, I recommend The Gospel in Twenty Questions. This book covers more than 200 frequently-asked questions about the gospel of grace. You can also find dozens of common questions covered in E2R’s Greatest Hits series. But how do I share this message with unbelievers? I’m so glad you asked! If you’re looking for something that’s free of Christianese and deep theological debates, I highly recommend my new book Stuff Jesus Never Said. It’s a book of pictures, and everybody loves pictures, right? And these pictures are funny. I can say that because we have been testing these on FB readers for years. I guarantee they will stimulate discussion about the goodness of God. “I’ve seen those memes. Sure, they’re funny. But I need more than a picture.” In this book each picture is accompanied by a short chapter. The meme tells you what Jesus didn’t say, while the text tells you what he did say. I know teachers who have turned these memes into visual aids for their discussion groups and parents who have shared this book with their pre-teen children. It works! You are welcome to share the resources found on this website with your friends, small group, or church at no cost, provided you include a clear attribution (eg: Source: Paul Ellis, EscapeToReality.org). If you wish to reproduce material for commercial purposes, please see the sharing options on this page. If you need a bio for Paul Ellis, see this page. How do I know if my message is bearing fruit? Just this week I was wondering how,with all the books and stuff I have on grace( many are yours! )-I could maybe have a house group meeting- with the focus being teaching/debating on this wonderful gospel of grace-and thinking “how can I focus it all so as to get the message across clearly and concisely-I think you have answered my prayer. Cheers! Maybe “Grace Groups” could be set up all over-who knows? There are many wonderful entries on your site, and I do enjoy reading the comments sections on you various blogs. But I also have a different interest. While sharing the grace + nothing Gospel and interpreting all scripture through the cross, I sometimes get stumped. 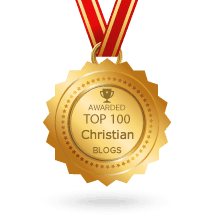 Do you have a blog that is just for questions and answers on specific verses? I mean I usually like the the discussions between “grace + works” promoters and yourself. But no offense to them, but I’m 61 years old. Been in church my most of my life (my father was a pastor), and frankly I could go to many churches in this town and hear their hope draining message based on performance, guilt, and fear. If I wanted to seek the counsel of performance based religion I would have an abundant number of resources. I’m looking for a blog where I can share a question, and hear your thoughts. I really don’t need their input. That I already know, for the most part anyway. The best place to post a question is E2R’s Facebook page, for two reasons: (1) get asked more questions that I can answer, (2) E2R readers have a lot of wisdom! Brother Paul, I am so blessed by your blog, learn many new things about His abundance of Grace and His gift of no condemnation. Brother, can you please suggest me a list of Grace Teaching School/College? Thank you, may you receive all the blessings of Deuteronomy 28. I recommend Andrew Wommack’s Charis Bible College. Thank you so much. Brother Paul, can also please suggest me any grace-based Bible commentary book(s) for OT and NT which I can study for myself and share to others as well. Thank you so much in advance, I pray that you will unveil more and more about Jesus to the world. Thank you so much for allowing God’s grace flow unhindered in your teachings. Your materials have been a tremendous blessing to me personally and to the church I pastor and every where I have gone to minister of late. God bless you tremendously!